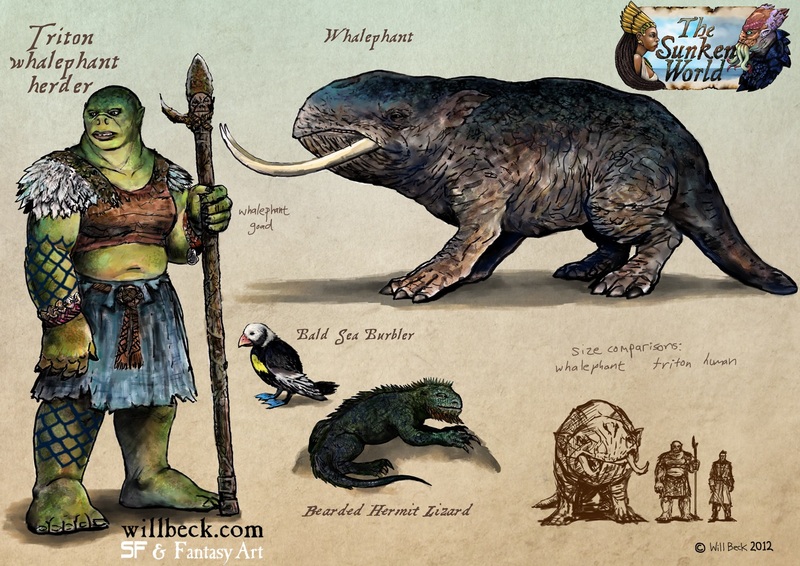 More of my Triton culture; here we have a triton whalephant herder, a whalephant (amphibious elephant/whale creature) and a couple of other examples of Sunken World fauna. 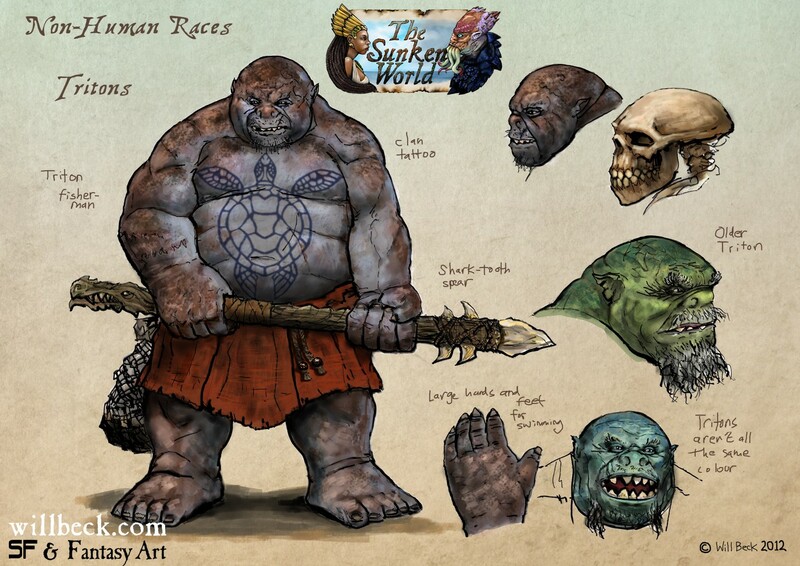 Some drawings of the ogre/dugong/manatee-like creatures from my Sunken World who I call Tritons. They’re amphibious and larger and bulkier than a human. Their culture is tribal but they’ve united against the Thulhid menace.